When the Patriots leaked news of Tom Brady's "three-year, $27 million" contract extension, it appeared on the face the rare instance of an athlete taking less money to make his team more competitive. We warned you that appearances can be deceiving, but without the actual contract details we were limited to speculation. The deal includes a $30 million signing bonus for the quarterback, which will be paid out over a period that extends to Feb. 15, 2015, according to a league source. Brady will earn $10 million of that signing bonus during the 2013 season, $5 million in a payment on Feb. 15, 2014, $10 million during the 2014 season, and $5 million on Feb. 15, 2015. Brady's salary for 2013 and 2014 are now $1 million and $2 million respectively, and are fully guaranteed. His old deal was scheduled to pay him $9.75 million in base salary for each of those seasons. It's a little creative accounting for the Patriots. Brady's huge bonuses can now be spread out over all five years of the deal. His cap hit, due to be nearly $21 million in 2013, will now be $13.8 million. The Patriots will have $15 million more to play with over the next two seasons, even as Brady pockets more money than he would have. The thinking is more than a little reminiscent of the overlong contracts handed out in the NHL, with star players earning near-minimum well into their 40s. (The league later closed this loophole.) It's all about averaging the salary cap hit across the life of the contract, extending that divisor by tacking on years the player has no intention of playing. But Brady doesn't have to retire to avoid playing at a discount in the final three years of his deal. NFL contracts, beyond bonuses, aren't worth the paper they're printed on. Brady and the Patriots can sit down again in two years and tear up what they've done, and if the past is any indication, that's exactly what will happen. Heading into 2005, Brady was scheduled to make $11.5 million over the next two seasons. The Patriots tossed it out and signed him to a six-year extension that would pay him $31.5 million over the same time frame, with most of that coming in the form of signing bonuses—again to lower his cap hit. In 2007, Brady re-worked his contract, again shifting some of his base salary to bonuses. The point, this time, was to clear cap room to sign Randy Moss. In 2010 Brady signed an extension, again before his current deal had run its course. 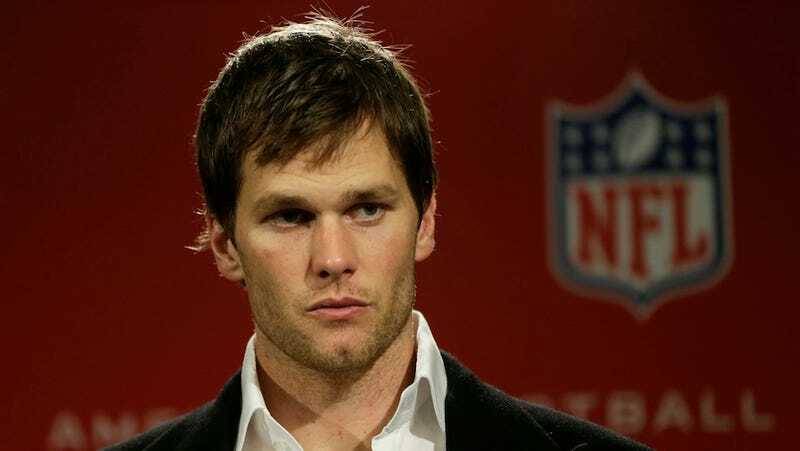 It included $48.5 million in guaranteed money and made Brady the NFL's highest-paid player. In 2012 Brady re-structured that deal, converting some salary to bonus money. The upshot was to save the Patriots cap room in 2012, at the expense of pushing it to 2013 and 2014. Brady has re-worked his deal yet again, and the Patriots continue to pass the salary cap buck into the future. Now that bomb won't go off until 2015 at the earliest, assuming they don't re-do the deal again. (They will.) As teams like the Jets and Eagles are learning, salary cap accounting isn't magic—it's just borrowing against the future. The Patriots will end up paying the piper, but not until their Tom Brady window closes.